The Dodger’s vacant catcher position is one of the most interesting stories of the winter. The Dodgers are currently without a starting catcher and the last time I checked (checks again) they still don’t have one. To recap, the Dodger’s starting catcher Yasmani Grandal is now an unrestricted free agent after he declined the Dodger’s 17.9 million dollar qualifying offer. The Dodger’s other catcher Austin Barnes is still terrible. The Dodgers have a couple of decent catching prospects (Keibert Ruiz, Will Smith) but they are probably at least another year or two away from being major league ready. 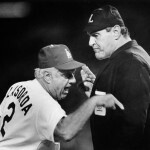 As of this writing the Dodgers have yet to do anything to remedy this situation. Obviously acquiring a good catcher would greatly improve the Dodger’s betting odds, of reaching the World Series again in 2019, according to USA legal betting sites. Reports are surfacing that the Dodgers will add a catcher via trade instead of the free agent market. This would make sense considering the lack of options available. Of course the Dodgers could just resign Grandal considering he’s still one of the best catchers in baseball despite having a miserable October. Unfortunately Andrew Friedman is just too damned cheap. So the Dodgers are prepared to let Grandal walk in free agency and they’ll prepare to bring in someone else from outside the organization. #Indians, #Dodgers engaged in “lots of different discussions,” sources tell The Athletic. LA likes CLE SPs and C Yan Gomes also would fit. CLE needs OFers; LAD has Pederson, Puig, Verdugo, plus young catching. Both clubs also talking to others. LAD in mix for #Marlins’ Realmuto. 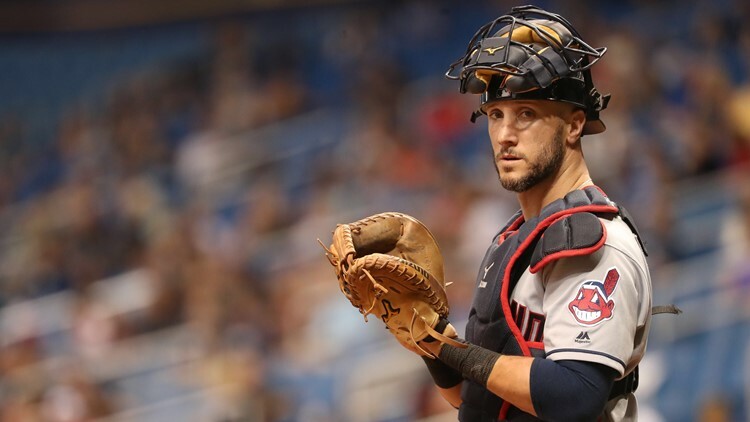 Initial rumors are reporting that the Dodgers are interested in Cleveland catcher Yan Gomes. The Dodgers have been apparently discussing different trade scenarios with the Indians, and Gomes would make the most sense. No the Dodgers are not getting Corey Kluber, or Carlos Carrasco, so stop drooling. So let’s talk about Gomes for a minute. Alex Campos of DodgersDigest had a nice little write up on him the other day. Gomes is a 31-year old Brazilian right handed hitting catcher. He’s got one more year left on his contract and then two team options years. So he could be controllable for three seasons. Gomes is capable but seems to me like a poor man’s Grandal. Hitting wise, Gomes has had three above league average (131 OPS+ in 2013, 117 OPS+ in 2014, 103 OPS+ in 2018) seasons. He’s a career .248 hitter and has a career .295 OBP. He’s smashed 87 home runs and averaged a .719 OPS over his seven-year big league career. During last year’s campaign he slashed .266/.313/.449 with 16 home runs and 119 strikeouts in 435 plate appearances. We know Gomes has power. He hit 21 home runs in 2014 for the Tribe and hit 14 in 2017 and 16 last season. The problem with Gomes is that he doesn’t walk much. If you’re used to Grandal’s 70-80 walks per season, well say goodbye to that. Gomes walked just 21 times in his 435 plate appearances last season. He’s averaged just 30 walks per season. His career high is 31 in 2017. Not only that, but he doesn’t make contact much. 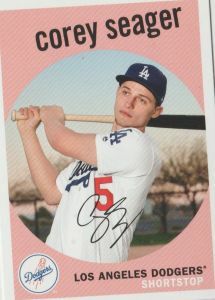 We’ve all been saying how much we want someone who is more contact oriented in the Dodger lineup for 2019. Well that’s not going to be Yan Gomes. He’s had three seasons of 100 or more strikeouts despite only playing in 100 or more games in three seasons. He struck out 27.4% of his at-bats in 2018. Even though he has the poor discipline and contact skills he still had managed to average a 92 OPS+ which is not bad. That’s barely below league average. A far cry from the 72 OPS+ that Austin Barnes put up in 2018. So we know Gomes can hit the long ball, but what about his defense? The framing isn’t great but not bad either. Apparently Gomes ranks just a notch above league average in the pitch-framing department. If you remember Grandal is one of the best in the game. Gomes has always been good at controlling the running game. He threw out runners attempting to steal at a 29% clip in 2018 and a 42% mark in 2017. Overall he’s averaged a 35% thanks to a strong throwing arm. His other defensive metrics rank positively and he’s tallied 18 pick-offs. Gomes has logged 21 games at first base, but 20 of those came in his rookie year when he was with the Blue Jays. He’s seen a few games at third base and left field. Gomes seems like a downgrade, but he’s perfectly capable of filling the position until the Dodgers can figure out if their top catching prospects are ready. I like Gomes and he’ll probably be a solid regular but let me tell you all, we’ll miss Grandal. I will not miss Grandal one bit. Oh yeah, he has power. He is a top pitch framer, but he is probably the worst pitch blocker and even worse clutch hitter the Dodgers have ever had. He constantly killed rally’s with strikeouts, double play balls, or just hitting weak grounders. And he has done that for most of his Dodger career. The last few games he played in a Dodger uni were the worst. He also is prone to long slumps and had one the end of the 2018 campaign and did the exact same thing in 2017. So I will not miss this slug one bit. Fresh new blood is needed. Ruiz is also a switch hitter and probably 1 1/2 years away. Grandal is a top catcher. Top 2 by FanGraphs. Realmudo is the ONLY one better. Of course the Dodgers are going to drop on aggregate of all his stats. That said, he was infuriatingly streaky. Hopefully the drop-off in performance doesn’t make itself obvious.